hd00:25Field with the hay. Hay wrapped in a haystack of lies all over the field. hd00:30Haystack. Hay wrapped in a haystack of lies all over the field. 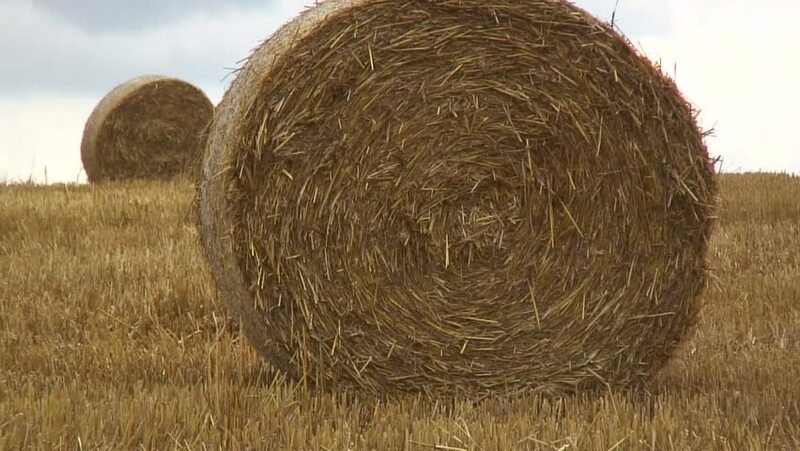 hd00:14Hay bale in a field. Alberta, Canada. Bale of hay in a field with heat shimmer in the distance. Alberta, Canada.